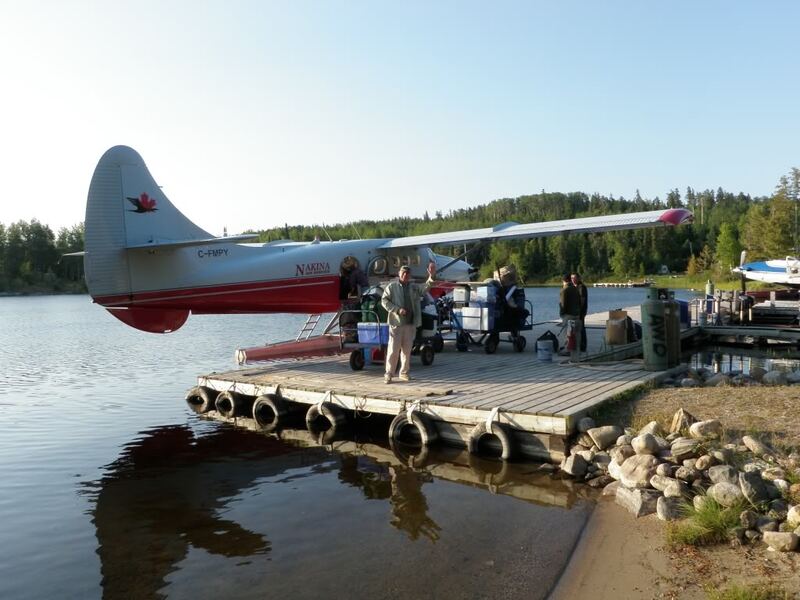 Far into the extreme northern wilderness of Northwestern Ontario and way past all the other lodges and outpost camps north of Nakina is your dream destination. It takes a special breed that craves exploration and needs adventure without limits to experience Ontario’s last wild frontier. A fly-in fishing or hunting trip with us feels like you have reached the edge of the world. Our business is supplying you with an oasis; an unexpected level of comfort in an otherwise wild and savage environment. 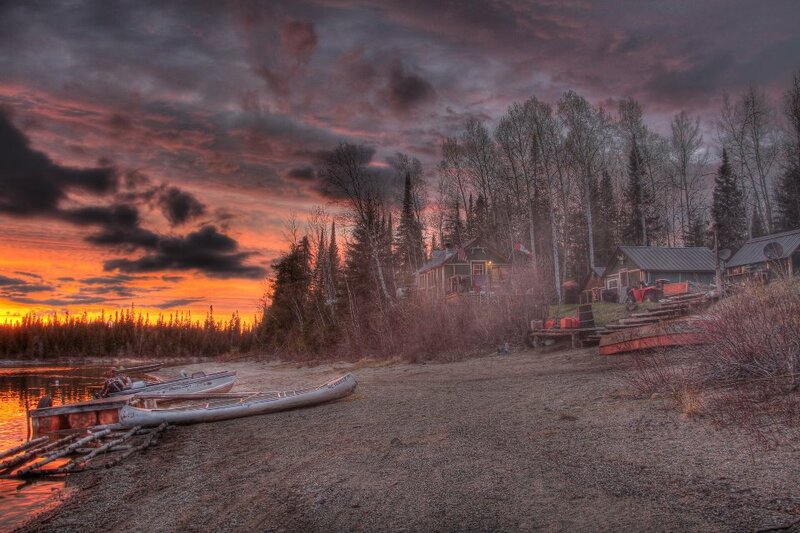 The reward for making such a journey this remote is access to the best fishing and hunting in Canada. Huge massive trophy Northern Pike live for many decades in the clean water and with a million Walleyes to feed on they reach fantastic sizes. 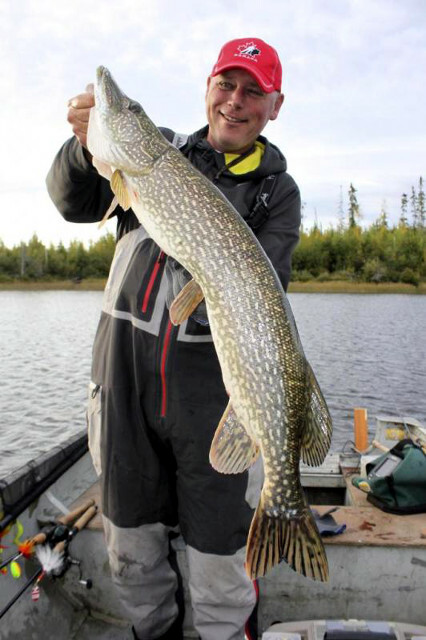 Northern Pike not only reach great lengths in our area; they get fat. When they sun themselves after a big meal they look like alligators, thus why Northern Pike hunters call them gators. 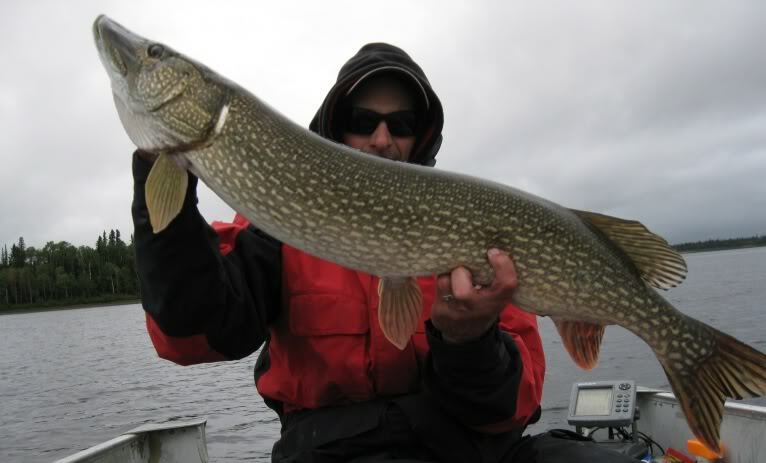 Guests catch Pike in the 10-15-pound range every day and Northern Pike over 20 pounds are common. A person targeting Northern Pike will catch a 20-pounder during a week of fishing. Northern Pike fishing fanatics are looking for something they can’t find anywhere else. 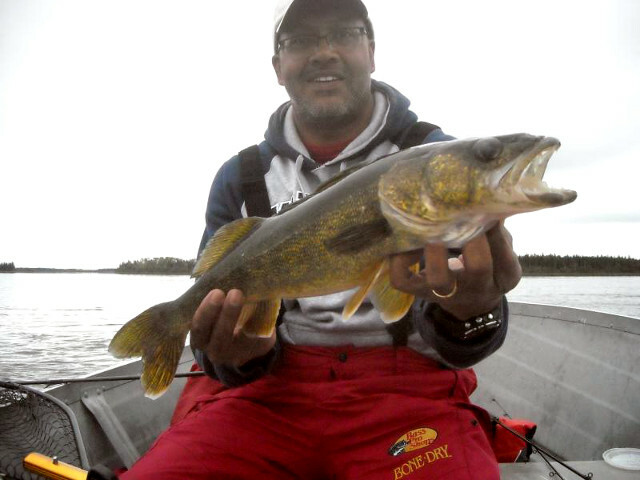 They come to our camps for the huge monster trophy Northerns that are kings of the water system. 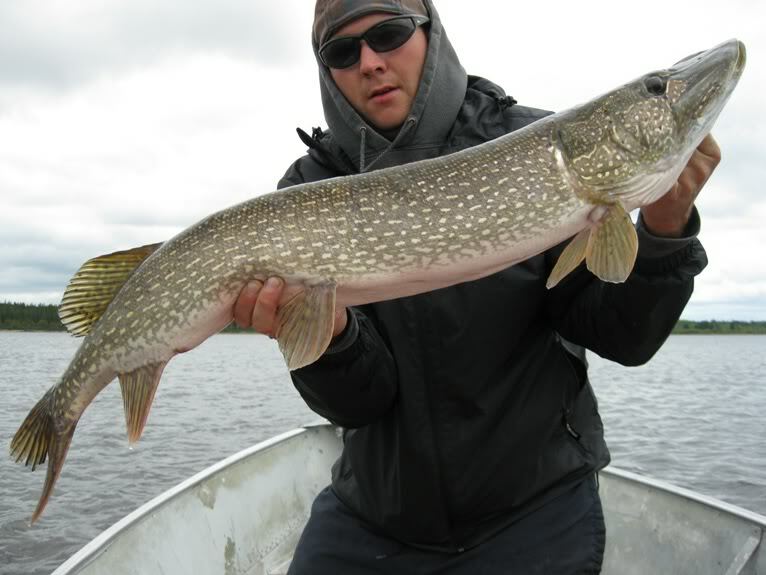 We have Northern Pike reaching 50 inches and with their massive girth can get over 30 pounds. 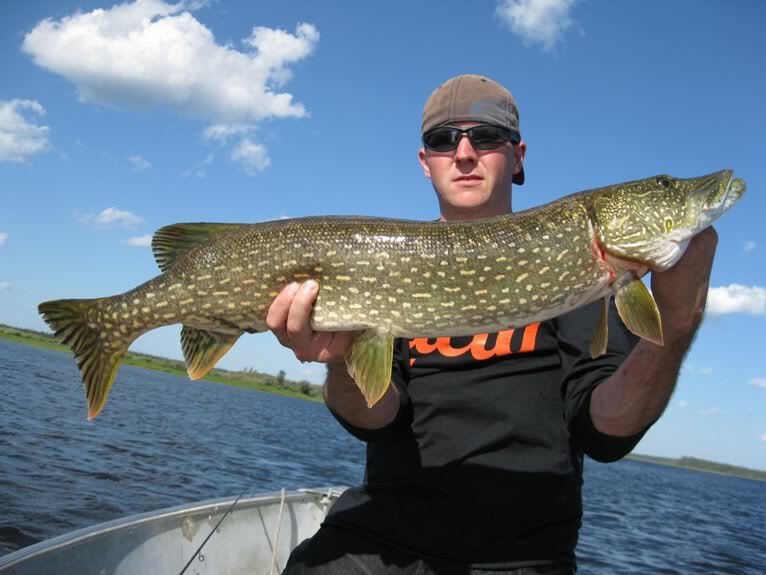 We have had Northern Pike caught-&-released by guests over 50 inches and over 30 pounds since we bought the camp in 2009. Those gators are still here waiting for you. 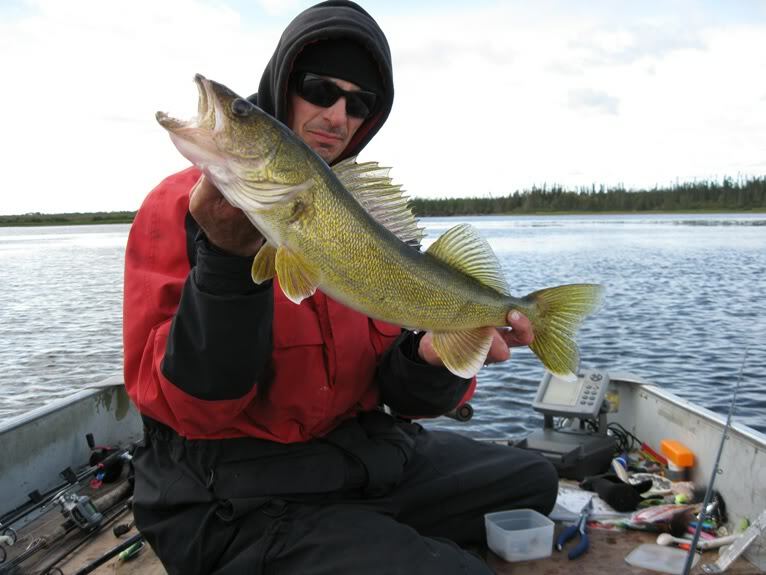 The lakes and rivers in the Attawapiskat region have had very little contact with humans and the fishing is virtually as fantastic as it was 300 years ago when French trappers first explored the area. 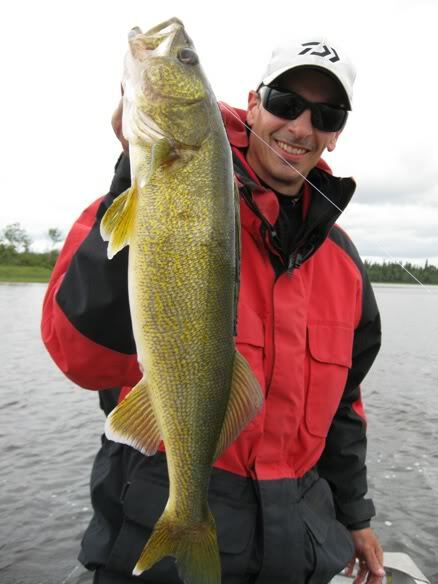 Walleyes are available in vast numbers including a high number of huge trophy Walleyes. 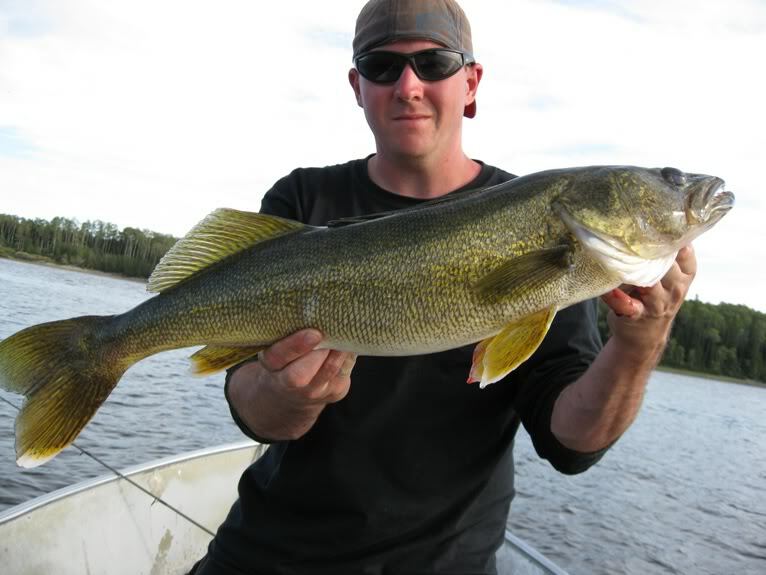 Choosing between our main lodge or outpost camps you have the choice of catching 50 to 100 Walleyes per day or fishing in an area where the Walleyes are less frequent but huge, with almost every guest catching a trophy Walleye sometime during a week of fishing. 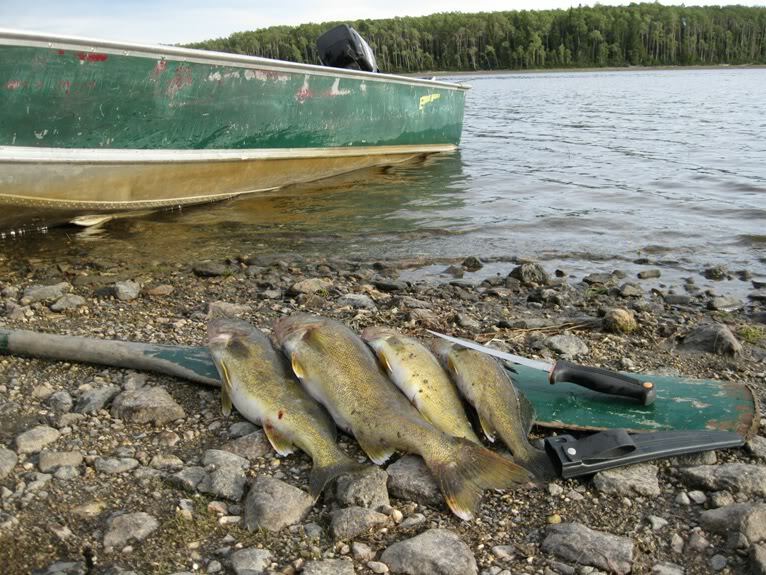 Walleyes in the 25 to 29-inch range get caught each day with Walleyes way over 30 inches being caught many times during the summer. 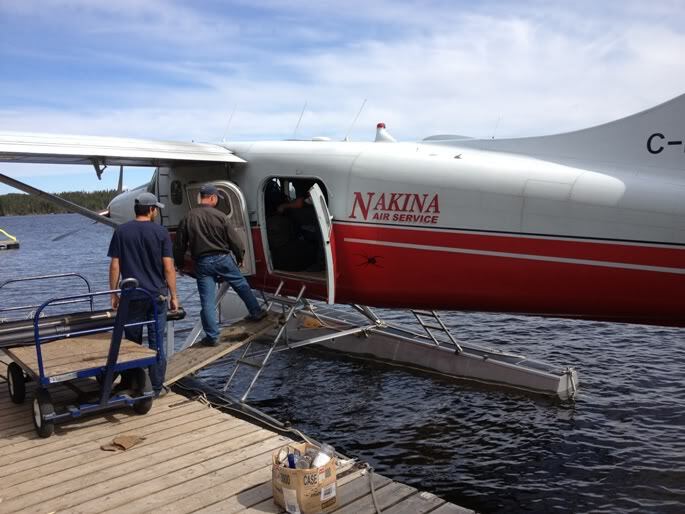 Guests are flown into the wilds by Nakina Air in a Cessna Caravan or a de Havilland DHC-3T Turbo Otter. 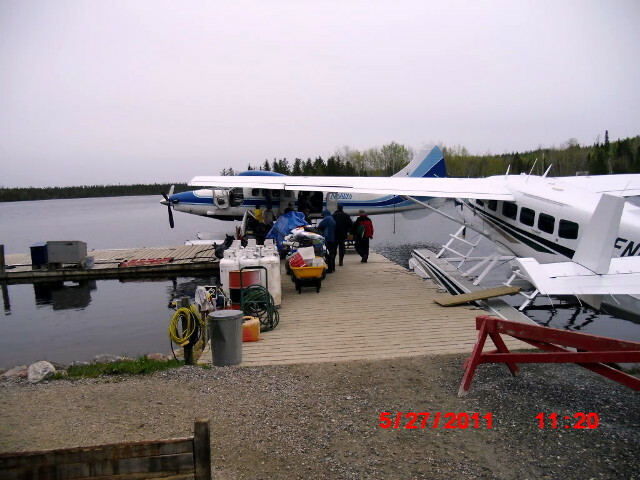 Our main lodge is located on Beteau Lake, which is a widening of the famous Attawapiskat River. The main lodge has multiple cabins and can accommodate big groups. There is also a common area where meals are prepared. You can cook your own meals or choose our meal plan and have us cook up hardy breakfasts and dinners, allowing you much more time on the water to catch more trophy Northern Pike and Walleyes. Even farther north into the wilderness are our outpost camps. 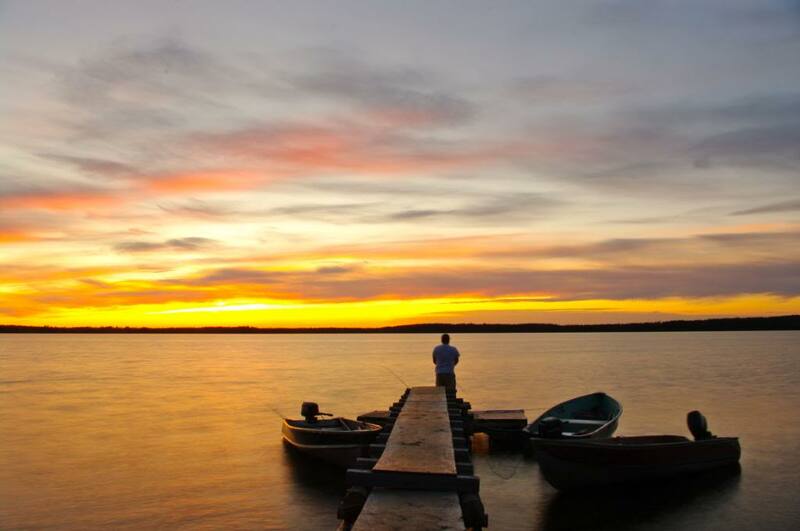 All our outpost camps are on lakes that are stuffed with fish where you will experience the best Walleye fishing and Northern Pike fishing imaginable. Our outpost camps are fully equipped for housekeeping and have great boats and motors. Some of our outpost camps are large canvas tents called spike camps. They are for our Moose hunters and still have all the amenities of our other outpost camps and are placed in remote regions where permanent structures are not allowed. We have an organized Black Bear Hunt at our main lodge on Beteau Lake. Hunters are placed on active baits in a region that produces the biggest Black Bears in Ontario. Black Bears average around 250 pounds but your chances at a big 400 pound boar are excellent. Both Rifle and archery hunters are welcome. Moose hunters can hunt bear if they want at Windsor Lake Outpost but they are on their own to do so. 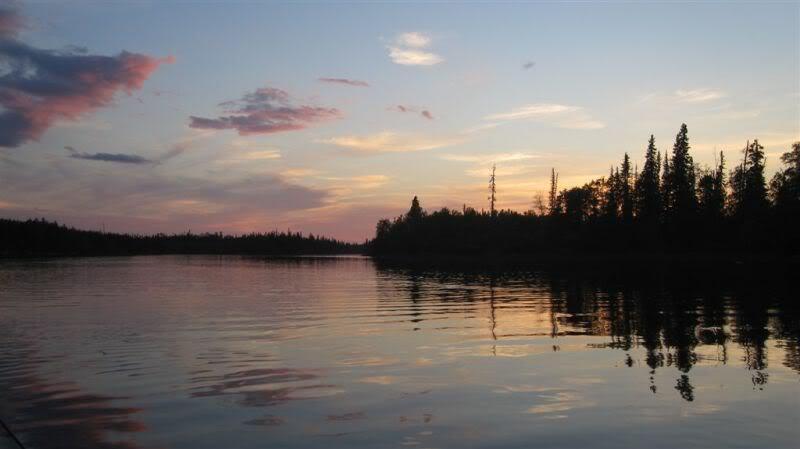 The wilderness north of Nakina has the best Moose hunting in Ontario. The population of Moose in the region is so high that we receive more adult Moose tags than other outfitters can dream of. We cater to both archery and rifle hunters and have both Bull tags and Cow tags for WMU 1D and WMU 17. Bull Moose in the Nakina area have been known to exceed 1500 pounds but the average is around 1300 pounds. We can customize any fishing or hunting trip to meet your needs. 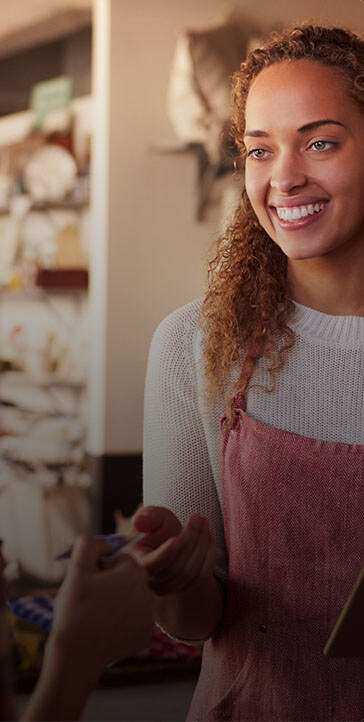 The options are too plentiful to list on our website without creating confusion so please contact us with any questions or concerns.